This Log Cutout Side Chair has a contoured seat and back rest for extra comfort. 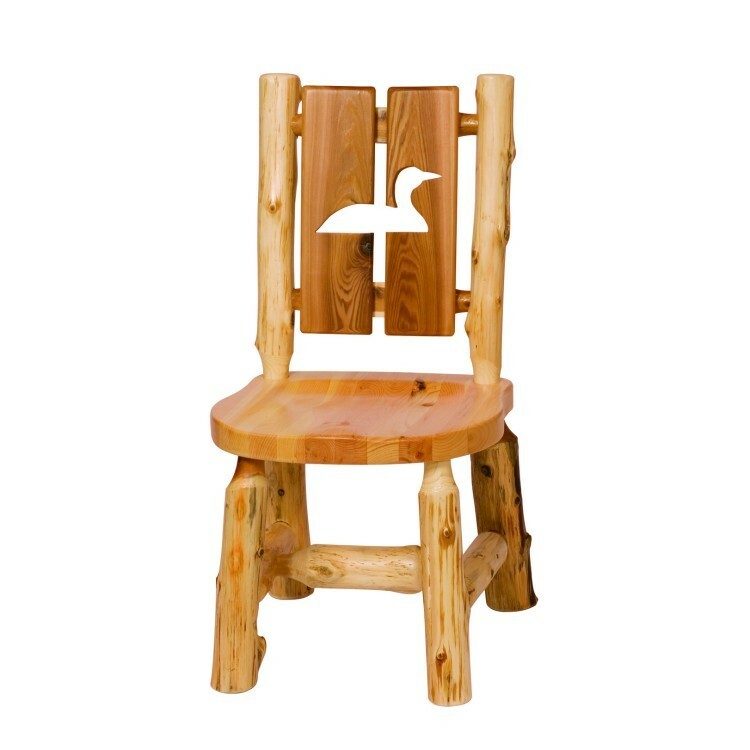 With a choice of 4 wildlife cutouts, this chair will provide the perfect accent for your cabin or lodge decor. This Log Cutout Side Chair has a contoured seat and back rest for extra comfort. 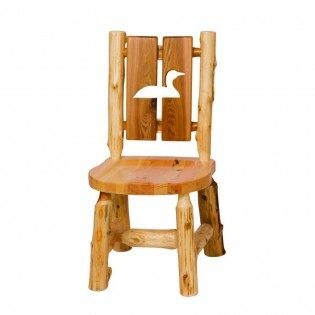 With a choice of 4 wildlife cutouts, this chair will provide the perfect accent for your cabin or lodge decor. It is individually hand crafted and made of hand peeled white cedar logs giving it a natural rustic look. It is clear coated with a catalyzed lacquer finish for extra durability.